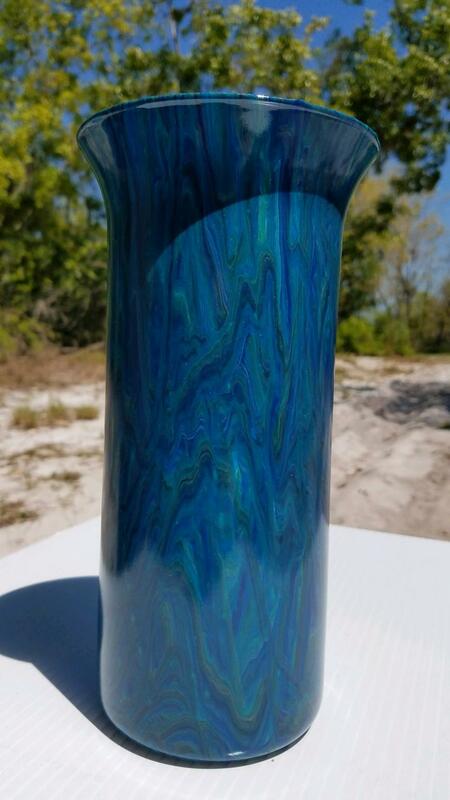 One-of-a-kind acrylic pour glass vase hand painted in blues, reds, greens and white in a ribbon design. Surface protected with an enamel. 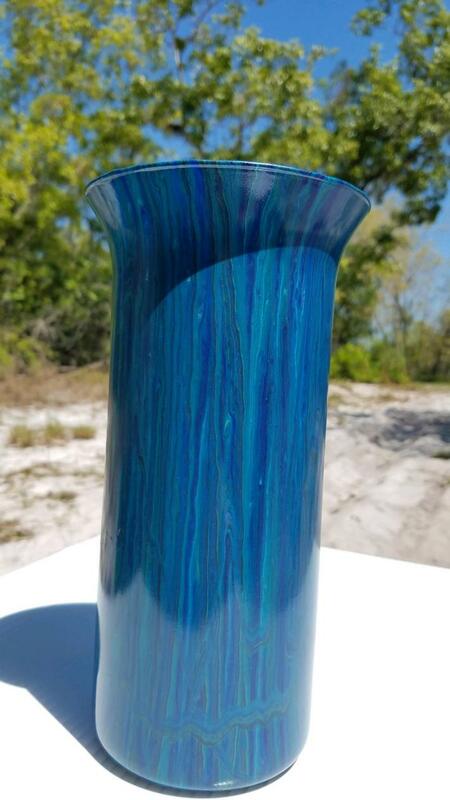 Vase is hand washable in warm water using a mild detergent and soft cloth.